A View from the Touchline – Premier League: 12.1.19. Despite the pre-match hype, and the on-going tussle for a coveted play-off slot between five teams at the top of the League, this was not a classic. It will, however, keep committed supporters’ tongues wagging for several days, as they debate the shenanigans of intense competition with drama that continued until the final whistle. Apart from the first twenty minutes, when Heriot’s had most of the possession and territory, there was very little between the teams. The brilliant defence of both camps plugged any gaps and stifled the opportunities that occasionally arose; even within touching distance of the try line, the tension and pressure spawned errors that changed the dynamic and expected outcome. With a mild grey January afternoon, and the prospect of open fifteen-man rugby on the green dry surface, it certainly brought a crowd to Malleny Park, but shortly after the start it became quite clear that only one team wanted to play; the other was quite content to slow things down and use their big pack to grind out a result; tactics it may have been, but the stop/start nature of the match turned it into an afternoon of attrition. 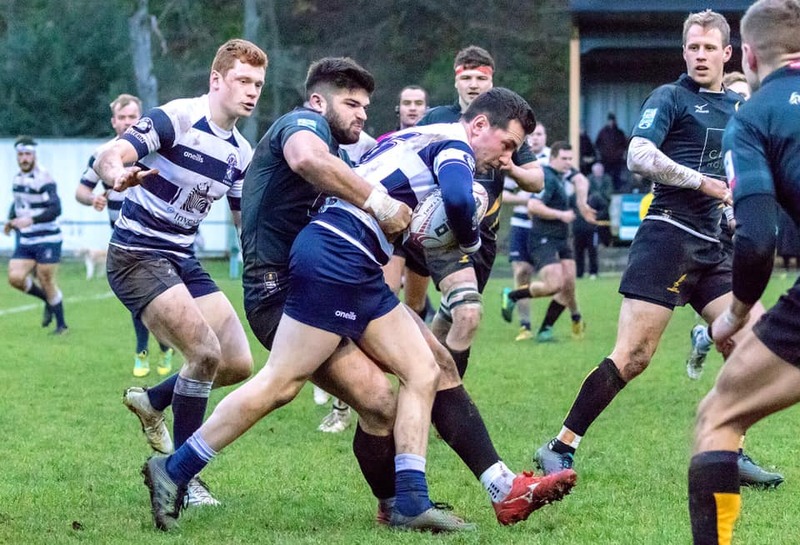 Heriot’s had an early break when a Chieftains clearance was charged down, but a prolonged period of pressure, deep in the opposition 22, was confronted by a stern defence which saw the visitors make several mistakes and surprisingly they gained nothing for their considerable effort. Currie finally broke away through some slick handling and a fine run down the right touchline by Ben Robbins, who was brought down by a high tackle. The resulting penalty line-out was turned over, and Heriot’s resumed their attacking barrage with more rolling mauls. The unattractive spectacle slowly rumbled towards the Currie line, producing as much excitement as a squad of sleepy badgers in the Balerno countryside. Once again, the juggernaut was stopped by a well-organised defence, and thumping tackles from Marc Kelly, Tevita Tameilau and Mike Vernel. Heriot’s ineptitude did not help the cause, as their one-dimensional approach continued to malfunction. Twenty minutes passed before the Chieftains had any meaningful possession which they used to ignite the game. Charlie Shiel slipped a couple of tackles and motored 50 metres, but he was caught just short of the line. For the first time Heriot’s looked vulnerable, as the hosts went through the phases and edged closer to the try-line. Matias Argiro, Fergus Scott and Vince Wright consolidated the position with strong carries before the ball went along the back line to Ben Robbins, who still had to use his power to crash through the defensive line near the corner flag. Gregor Hunter’s valiant conversion attempt skimmed the wrong side of the post. 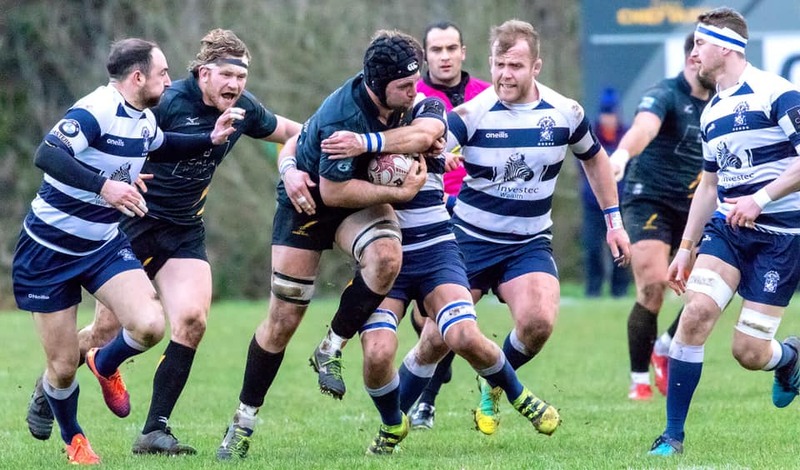 This score must have reminded the visitors of Currie’s capabilities when in possession, so from 35 metres out, in what was turning into a tight game, Ross Jones had no hesitation in converting a penalty into points; his successful kick opened the Heriot’s account. Eventually the game started to get going with both teams giving their backs a run. Thomas Gordon looked to be heading for a try, but he was called back for a forward pass. When Heriot’s released their back-line they too looked good, and were it not for Robbie Nelson, Joe Reynolds and Steven Hamilton chopping down the attackers, Heriot’s may have added to their tally. As it was, they did make good ground for the formidable Heriot’s pack to exploit, and another rolling maul finally did the damage. Iain Wilson crashed over with a heap of bodies, and Ross Jones had no problem with the conversion. There was still time for a little more drama before the break, as the Chieftains worked their way into a favourable position for an attack. Adam Sinclair was penalised for a high tackle and sent to the sinbin, and Currie’s enterprise unfortunately petered out. The first half ended with the visitors heading for the clubhouse, to powder their noses and freshen up, or something like that! Many in the crowd thought that this was rather childish and quite comical; Heriot’s have been coming to Malleny Park for the past 30 years and should know the situation. 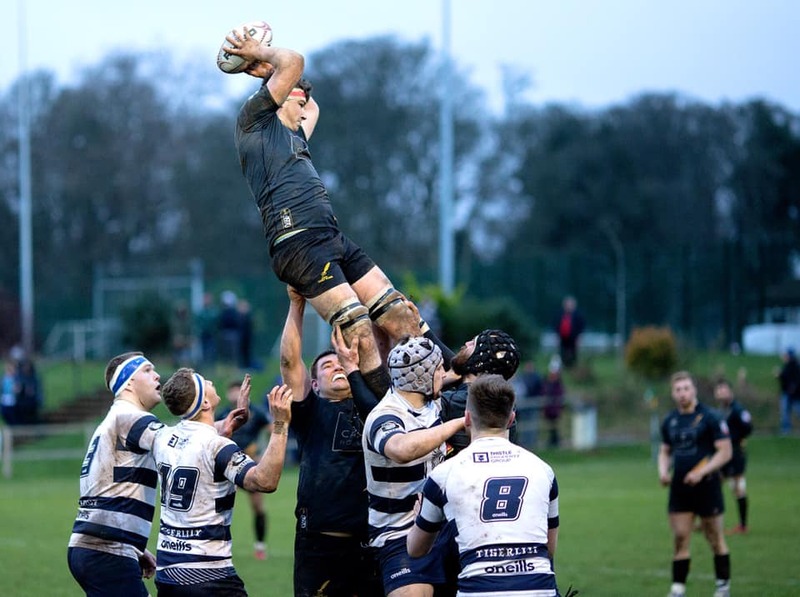 Halftime score – Currie Chieftains 5 pts, Heriot’s 10 pts. The extended break did not meet with the crowd’s approval, but perhaps this was the reaction that the visitors wanted, and immediately they hung on to the ball and started to threaten the Chieftains’ line. Now playing into a steady wind and still not restored to fifteen men, Heriot’s knew that their slender lead could easily be overhauled. A couple of exciting drives around the Currie 22 were again stopped before they really got going, and a neat grubber kick, for position and territory was splendidly cleared by Steven Hamilton when under considerable pressure. As the match progressed, ‘the arm wrestle’ became confined to mid-field, and at times it was akin to watching a slow-motion replay, stopping and starting and only occasionally speeding up as one team or the other made it into the opposition 22. With the advantage of the wind, the Chieftains did spend longer at the visitors’ end, but a well-drilled defence gave little away. Time and again, when prospects were looking good, the ball was turned over, as niggling errors plagued both teams. The Chieftains’ lineout mis-fired at critical points, as did Heriot’s’ handling, particularly with their generally sound, rolling maul; perhaps it was this error of judgement that contributed to their downfall, opting for a penalty lineout instead of a kick at goal, and almost certain points. There had been no scoring in the second half, and it was not until very late in the match, following a period of sustained Currie pressure, with no result, that Gregor Hunter landed a penalty goal, the intention being to repeat the process before time ran out. 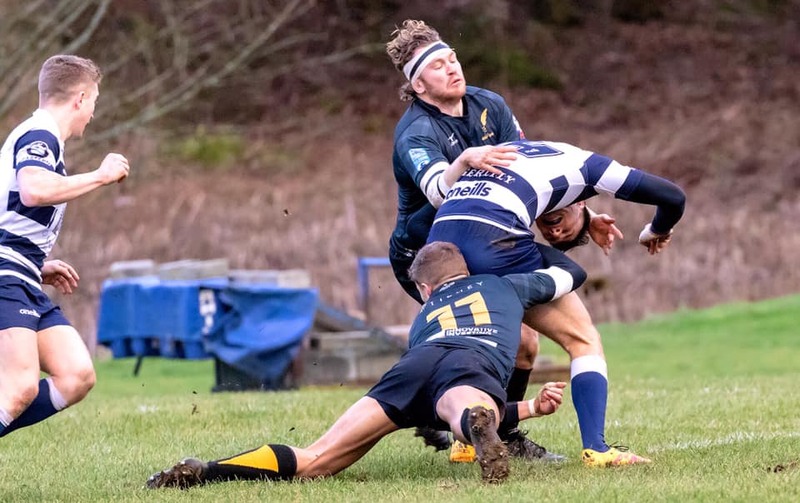 When Heriot’s advanced down the pitch and kept things very tight, it looked as if they had done enough to hold their slender lead; but some poor handling and a touch of panic quickly moved play back to the other end. 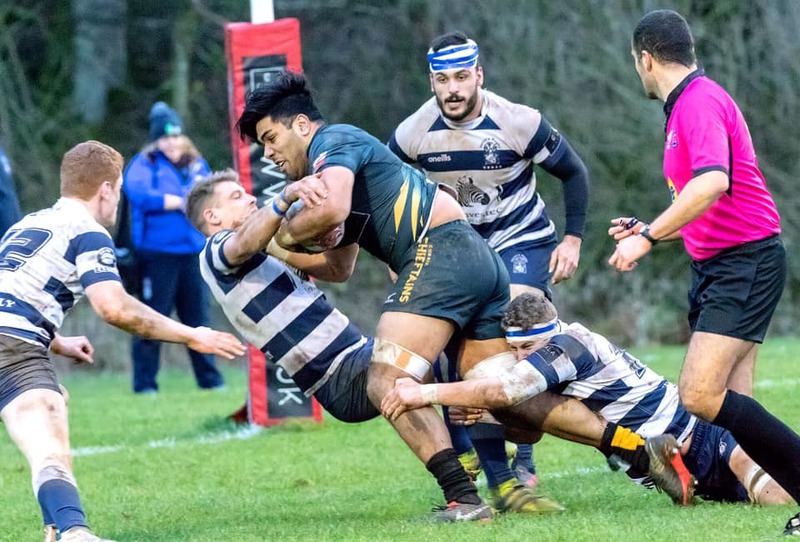 Tevita Tameilau, Thomas Gordon, Matias Arigo and Scott McGinley all tried to punch holes through the impregnable Heriot’s’ defence. Already six or seven minutes of extra time had been added by the referee, who undoubtedly took account of the many stoppages in the second half. As the final lineout formed, the players were told that one minute remained; again, Currie still searched for a gap, but when fifteen metres out, Charlie Shiel sent a perfect pass to Gregor Hunter who was in position for a drop-goal, his kick dissected the posts and the referee’s whistle sounded no-side. Not a great match, but a tremendous win that keeps the Chieftains in the mix for a play-off slot. Earlier, on Santerfield, the Chieftains ‘A’ delivered another quality performance in their League match v Selkirk. The plucky Borderers felt the sharp edge of the Chieftains’ sword, as they rattled up another healthy score line. Next weekend the Premier League action continues at Myreside, where Watsons, the other Edinburgh team with play-off aspirations, are only two points behind the Chieftains; yet another critical encounter. Kick-off 3.00pm. 3 Matias Argiro, 2 Fergus Scott, 1 A P McWilliam. 16 Graeme Carson, 17 Fraser Watt, 18 Scott McGinley 19 Matthew Hooks, 20 Roan Frostwick.